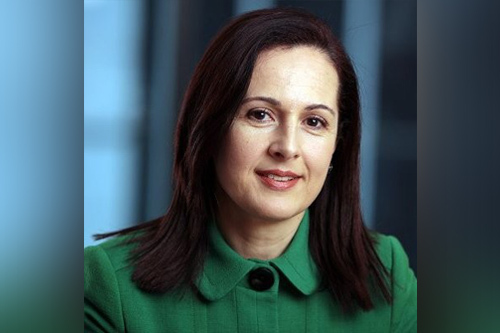 Insurance Business sat down with Niki Kesoglou, global head of diversity and inclusion for QBE Insurance about the glass ceiling in the insurance industry. After 18 years working in banking, Kesoglou says that the glass ceiling hits at a much earlier stage in insurance than banking. “In my experience both in the consumer and investment banking, the glass ceiling was really at senior management level, whereas in insurance, it hits at middle management level,” she said. While there are more women than men working in insurance, Kesoglou says that the glass ceiling hits much more at junior management, middle management than it does at the senior level. “At that little point, you have a lot more men being promoted or having the opportunities to apply for roles than the women,” she said. To address this issue, Kesoglou says that companies need to overcome long-standing biases and prejudices that are ingrained in their cultures. “It does begin really at the core of the capability of the leader. So, if I'm talking about middle management level, it starts from there,” she said. “What happens is there are natural prejudices and biases in the way they make decisions and what they look for, what they recruit for. That has an impact on women, generally,” she said. “They tend to recruit in the shadow of themselves in terms of what capability they have”. The impact, she says is that women feel disempowered and aren’t able to contribute in the way that they would like. How do you address that? Obviously, there are sorts of things that organizations can do. The organization is the starting point. She says that companies that don’t promote women are missing out on tapping into a larger pool of talent. Kesoglou says that young women are asking questions and pushing managers to be more transparent and a lot more evert in communicating. She says that sponsorship and accountability from the top is crucial. “You need to get sponsorship from the top, you need to acknowledge that you have a problem and that you are a part of it, that you need to take ownership, and you need to actually do the hard work to shift the ways around how you make decisions, how you operate as a leader,” she said. While it’s important for companies to talk about gender equity to peers, it also translates down to what you're doing with your customers, with your broker partnerships, with your suppliers. “Once you start talking about it and you feel that it's something important, it then translates into a conversation much broader, beyond your organization and your people, into the community and into the people that you deal with, that you're there to serve which is your customers”.